Kerching Casino UK invites all experienced gamblers to enhance their gaming session with this bonus. Sign in, make a minimum deposit of £10, and you can get a 100% match up to £150. Use it to play table games and slots within 28 days. 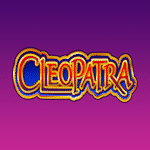 In addition to the cash, you’ll also receive 25 Spins on Cleopatra. These expire within 7 days. In order to cash out, you have to play the deposit and bonus amount and the winnings from the spins 30 times. 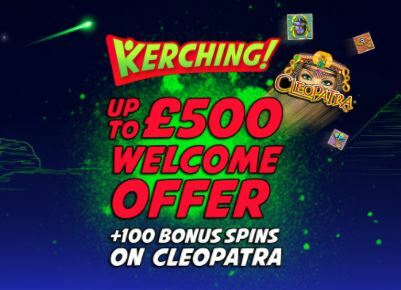 Access the Kerching casino and get this deal! At Kerching UK, you can enjoy a great reload bonus. Log into your account and make a third deposit of at least 10 Pounds. After that, you will receive a 50% match bonus up to £300 along with 25 Spins. The money can be used on any of your favourite games, but the spins are valid only on Cleopatra and expire within 7 days. Meet the wagering requirements and you’ll then be able to cash out. Get this offer today and increase your winning chances!